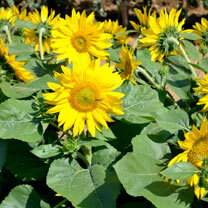 A large-flowered dwarf sunflower with branching growth habit, bearing up to 20 flowers per plant. The flower petals are golden yellow with bright yellow centres, and, because of its branching habit, are produced over a long period. Perfect for border or container. Earlier than most other varieties. Improved variety and compact habit. Height 45cm (18"). 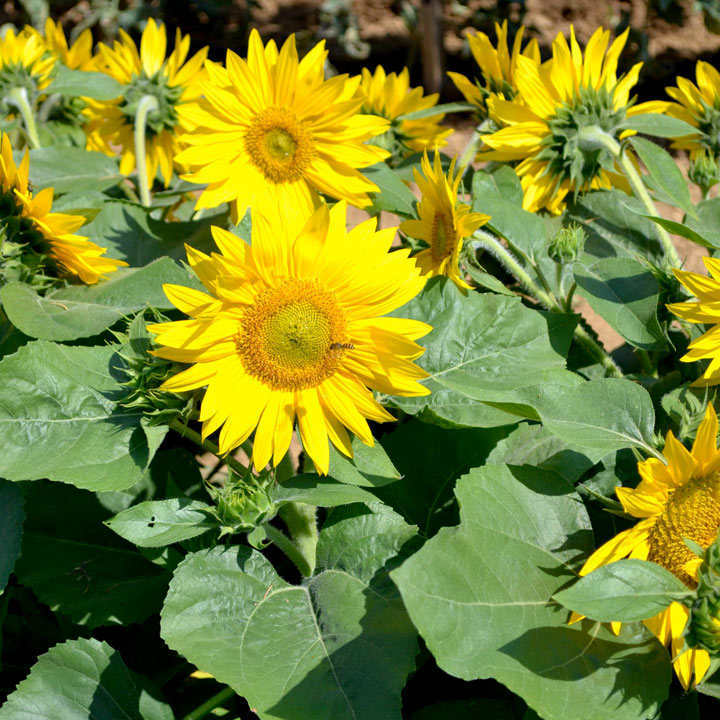 Easy to grow flowers with dwarf varieties suitable for borders and container growing, intermediate types for borders and cut flower and tall types for ‘grow the tallest sunflower!’ Suggested planting space - See individual packets for spacing details. Ideal for beds and borders. Attractive to bees. Suitable for cutting. Prefers full sun.